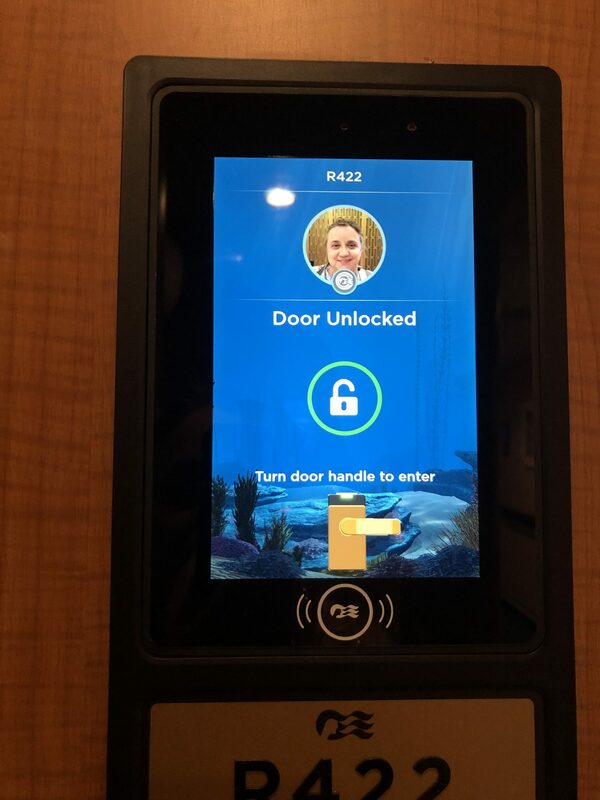 Last February I took a Caribbean cruise with Princess Cruises aboard the Regal Princess, a vessel newly upgraded to support Medallion Internet of Things devices. 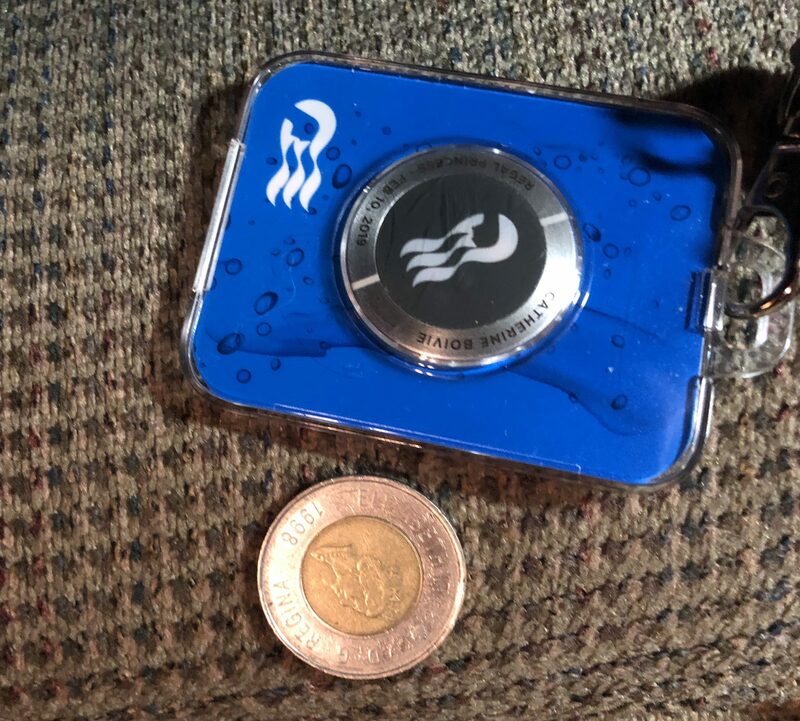 I first wrote about this technology referring to as Carnival Cruise line’s Ocean Medallion from CES 2017, describing Arnold Donald’s (CEO of Carnival cruise lines) keynote speech where he introduced the Ocean Medallion as the first interactive guest experience technology while cruising. Carnival owns manye cruise lines, including Princess. The biggest benefit I got from the Medallion is that our cabin door unlocked as I got within a couple of feet of it. It was also an easy way to pay for purchases on the ship. 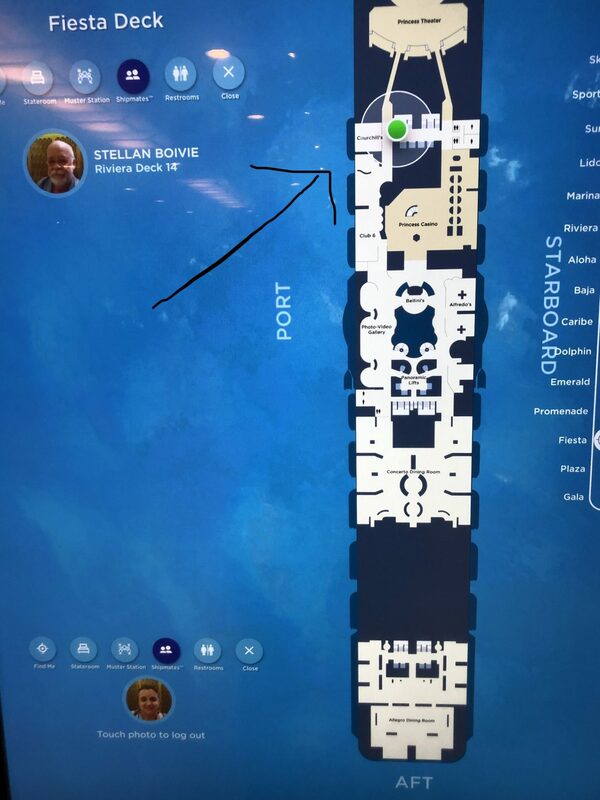 In the elevator waiting area there are screens where you can sign on by touching the medallion to the screen, which then provides: directional information on the ship to specific locations and locating people who share your cabin on the ship using a feature called ShipMates. A future feature will include locating friends as well. There are games you can play on those screens once you sign in, by creating an avatar and then playing word or match games. If this is supposed to keep you entertained while waiting for the elevator, it didn’t work for me. Supposedly, with this new technology, one can also order drinks and food and the waiter would find me anywhere on the ship, but I didn’t try this feature. With the technology upgrade, the ship’s Wi-Fi was more stable and the bandwidth was good. With about 5,000 passengers and crew, contrary to previous cruises, I didn’t experience any issues with the Wi-Fi and I could even back up my iPhone to the iCloud. But even with the technology upgrade, there is no electrical plug or USB port to plug in your smartphone anywhere near to the bed. This is the first release of the Medallion, and the system had a major crash, which resulted in no one being able to leave the ship at Cozumel and we all had to wait well over an hour in the gangway until they “rebooted the system.” Hopefully, future releases are more stable or at least they develop a backup procedure to be able to do the process an alternative way. There are apps specifically designed for the Medallion that can be downloaded from the app store, such as: Ocean compass, a navigation assistant using your smartphone or Ocean casino (allows you to play slots, roulette, etc. using your smartphone when the ship’s casino is open) but they don’t seem to be working yet. You’d think with the new technology, the amount of paper given to passengers would decrease. But this is not the case. Each day we had at least five or six pieces of paper delivered to our cabin. And yes there are a couple of annoying features of the Medallion. One is that using the built-in messaging feature only works if you know the special code assigned by the ship for the person. And it’s not easy to remember, mine was 07260203. 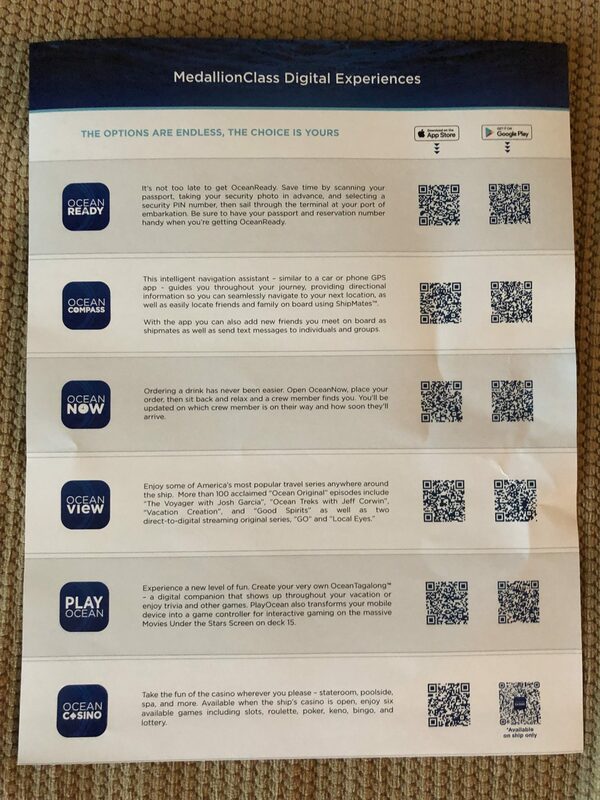 To find out the special number of my friends travelling on the cruise, they had to sign on to the messenger to get their special number, which I then had to manually key in. It would be easier if the app allowed name searches and then sent a message to the person such as “Catherine is trying to link up with you, will you accept it.” Also unless you are in the app itself, it doesn’t alert you that there is a message waiting. I expect that the cruise line spent millions in developing the proprietary technology. The biggest benefit to Princess Cruises is the amount of data it collects on the passengers, eg. which restaurant they eat at, how long they spend shopping etc. A big plus to the cruise line to be able to harvest such data and use it, such as offering special deals in less visited shops. While as initial implementations go, the Medallion was successful, I hope Princess makes it as worthwhile to the passengers as the benefits the company will reap from it.